Time-wise animals is a unique music and poetry project from Cult of Orpheus, featuring original sonnets of Christopher Corbell, set to music and performed by Corbell with cellist Sonja Myklebust. Booking? See the one-sheet PDF for a quick overview of this project. Cult of Orpheus is proud to have been a finalist in the Willamette Week Best of Portland 2016 reader’s poll, in the category “Classical Music”. soaked in blood and thunderstorms and reasons. woven on the legs of someone’s daughter. Millions walk the tightrope of abuse. We look down. What chances will we take? but they’re cheap to build and tough to break. Will we perch our children on the wire? Will we set the circus tent on fire? This project is a fusion of poetry, music composition, and intimate performance. In these settings the familiar structures of folk and pop are replaced by a through-composed approach, informed by classical composition, unified by a common poetic form. of body, if not flight, as dark as dear? and carry us in love, in light, in dread. Corbell’s artistic voice is at once crafted and organic, supported by adroit guitar work and arrangement sensibilities honed in chamber music, art-song, and opera as well as indie-acoustic and rock bands. Far from formulaic (in either a pop or academic sense), each song’s music becomes itself, drawing unique musical themes out of the original text. The recordings on this page are a true record of live group performance (no separate tracking). with every chance of love I might have missed. and you, the one I call, do not exist. Orphic snake encircling your hips. were something that a shadow could achieve. that I might be as beautiful as you. Live performances of Sonnets focus on the fusion of text and music, often supported by reciting of the poem in addition to performance of the songs. This makes performances from Sonnets engaging for a wide variety of audiences, from indie acoustic scenes to poetry circles to chamber music audiences to other literary and fine arts communities. 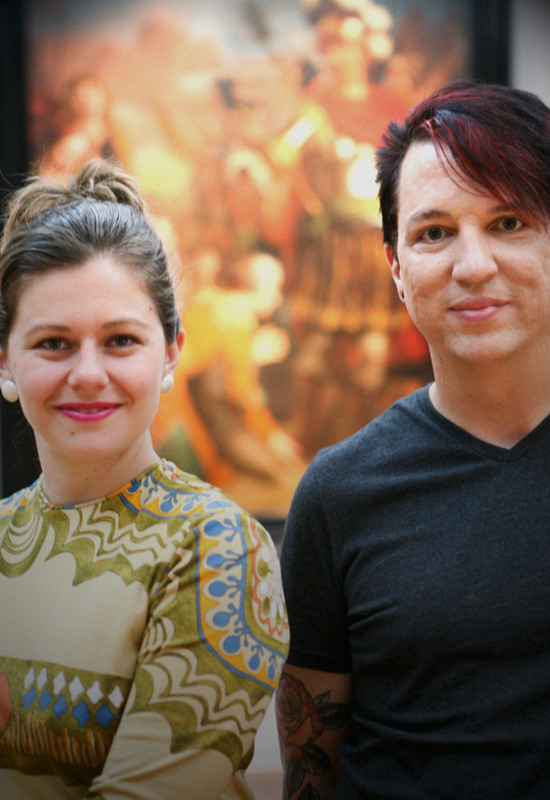 Master classes and public lectures by Christopher Corbell on topics related to songwriting, vocal composition, indie opera production, cultural community-building, and in support of of outsider/non-academic composers. Please join the mailing list to stay up to date on performances, and for booking send an email to booking (at) cultoforpheus.org. into the streets awash with sweat and beer. of Carnival. Ash Wednesday’s almost here. The king and queen are drunk. The jester jests. The serpent booms. The drums thrash every ear. and ghost-like dance. Ash Wednesday’s almost here. All our frenzied lessons have been learned. All our heat has melted frigid poles. and turned our hearts to diamond-ready coals. so bloom, sweet sins. Ash Wednesday’s almost here. Time-wise Animals will be released in unique format, as a poetry chapbook with audio CD. 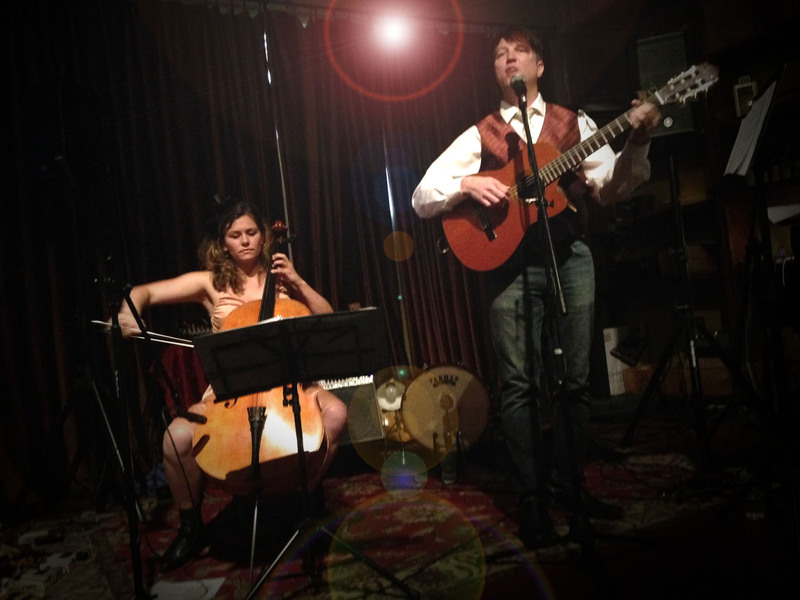 Cult of Orpheus Sonnets performances feature singer/guitarist/composer Christopher Corbell and cellist Sonja Myklebust (Portland Cello Project, Pacific Cello Quartet). Some performances may also feature other guest art-song vocalists, poets, and chamber musicians. Since forming in 2016 the group has performed at a variety of Portland venues including Valentine’s, The Waypost, The Jade Lounge, and Vie de Boheme. As a performer, Corbell has been part of the Portland indie scene for over a decade, performing his original songs and compositions at a variety of venues including Mississippi Studios, The Waypost, The Star Theater, Vie de Boheme, The Jade Lounge, Valentine’s, The Steep and Thorny Way to Heaven, The Someday Lounge, Acme, and The Towne Lounge. Corbell has also performed with local indie and rock bands on many Portland rock stages including Berbati’s, Doug Fir, E.J.’s, The Fez, Kelly’s Olympian, The Know, and The White Eagle Saloon. Sonja Myklebust has recorded and toured extensively with Portland Cello Project and also performs with the Pacific Cello Quartet. As a producer Corbell has brought together ambitious underground-classical performances including Viva’s Holiday: An Opera in One Act at the Star Theater (a three-night premiere run) and ticketed Classical Revolution PDX performances at Holocene (“A Marriage of True Minds”), The Star Theater (“Decomposer’s Night” and “Summer Showcase”), and Vie de Boheme. booking email: booking (at) cultoforpheus.org.